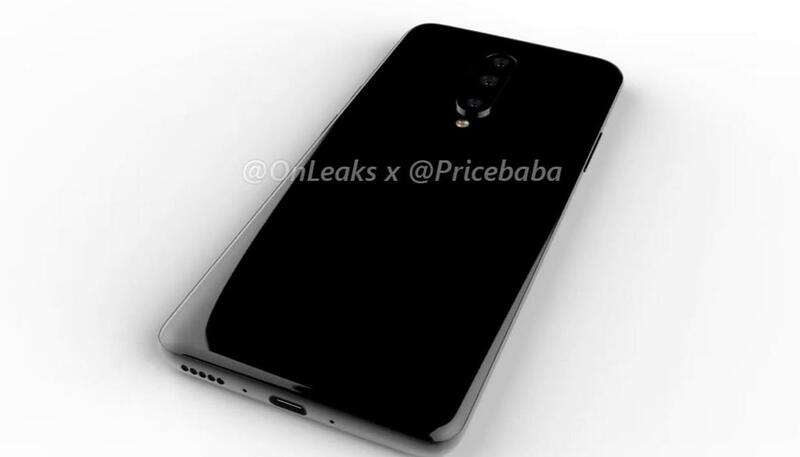 OnePlus’ upcoming flagship smartphone - OnePlus 7 has leaked in all its glory, courtesy of 360-degree video renders. The video offers a glimpse of what the OnePlus 6 successor could look like. It’s been quite some time since OnePlus’ yet-to-be-official flagship smartphone has been making the headlines. Now that 360-degree video renders have surfaced, we get a fair idea of pretty much everything about the design of the OnePlus 7. As the video demonstrates, there are no bezels on the front. The video talks about a 6.5-inch truly bezel-less display with absolutely no distractions whatsoever. Up top, there's a pop-up selfie camera resulting in maximum screen real estate. This could also be the first OnePlus phone with screen curving right into the edges to maximise the premium look and feel of the device. Similar to OnePlus 6T, this one is likely to feature an in-display fingerprint reader. So we are not expecting any major changes around the security and unlocking mechanism. At the back, the handset is expected to feature a vertically-aligned triple camera unit alongside an LED flash. While the power button and alert slider sit on the right, volume controller occupies the left side of the smartphone. The bottom houses Type-C port, speaker grill and primary microphone. This is everything that the video has to offer. Although hardware specs of the OnePlus 7 aren’t known yet, it’s a no-brainer that OnePlus 7’s primary focus would remain on the latest set of internal features and technical specifications. OnePlus 7 is likely to offer Qualcomm Snapdragon 855 processor with up to 12GB of RAM and WARP CHARGE - the technology that initially made its debut with the OnePlus 6T Mclaren edition last year. OnePlus is also set to be among the first companies to come up with a 5G-ready smartphone. Recently, we saw a report that OnePlus 7 could ditch wireless charging support in favour of the more traditional wired charging methods. More details are awaited. Nokia 6.2 Rumoured To Be Launched Earlier Than Expected: Why This Smartphone Could Be Important For India?